This study relies on the latent core of the Iraqi Turkmens regarding sectarian conflicts and groups that have been major topics and classifications of Iraq especially since 2003. In search of parameters and impacts of post-2003 sectarian conflict, this study examines the case of Tal Afar, a town of mass strifes of Iraqi Turkmens. In the first instance, how to approach theoretically to sectarianism will be investigated in the light of primordialism, instrumentalism and constructivism. Accordingly, the present approaches have been underdeveloped in the analysis of sectarianism but a modified instrumentalism can be recruited especially to understand Tal Afar. In the second instance, why and how the conflict occurred in Tal Afar will be discussed. It will be argued that security forces, insurgent groups and tribes emerged as main drivers of sectarianism, American practices catalyzed their activities, and sectarian images, insecurity environment and tribal order rendered sectarianism sustainable. In the third instance, the results of the survey that was conducted among DAESH-victim Iraqi Turkmen refugees in Ankara to measure the magnitude of sectarianism will be presented. Findings will indicate that sectarianism lacks large social base but has significant constructive power and coercivity. Bu çalışma, özellikle 2003 işgalinden beri Irak’la alakalı en çok tartışılan konulardan birisi olan mezhep çatışmasına ve Irak toplumuna yönelik en başat sınıflandırmalardan olan mezhepsel gruplara yönelik Irak Türkmenlerinin ortaya çıkarabileceği potansiyelden hareket etmiştir. 2003 sonrası mezhep çatışmasının parametrelerinin ve etkilerinin neler olduğu sorularından hareketle, Irak Türkmenleri arasında yoğun kitlesel gerilimlerin yaşandığı bir kent olarak öne çıkan Telafer vakasını inceleyen bu çalışmada öncelikle, mezhepçiliğe nasıl bir kuramsal çerçeve çizilebileceği ilkçi, araçsalcı ve inşacı olmak üzere üç temel yaklaşımın ışığında sorgulanacaktır. Buna göre mevcut kuramsal yaklaşımların mezhepçiliğin analizinde çok az işlendiği ancak yeniden düzenlenmiş bir araçsalcı yaklaşımın özellikle Telafer’i anlamada yardımcı olacağı iddia edilecektir. İkinci olarak, Telafer’de neden ve nasıl bir çatışma yaşandığı tartışılacaktır. Bu bölümde, Telafer’deki mezhepçiliğin ana yürütücüleri olarak güvenlik güçlerinin, direnişçi grupların ve aşiretlerin öne çıktığı, Amerikan pratiklerinin bunların işlemlerini kolaylaştırdığı ve ülkedeki siyasi atmosferin ürettiği mezhepçi imgelerin, oluşan güvensizlik ortamının ve bölgedeki aşiret düzeninin mezhepçiliği sürdürülebilir kıldığı savunulacaktır. Üçüncü olarak, DAEŞ işgalleri sebebiyle Telafer’den Türkiye’ye sığınmış Irak Türkmenleri arasında Ankara’da yapılan saha araştırmasında kullanılan ve mezhepçiliğin hangi boyutlarda olduğunu anlamaya yönelik anketin sonuçları sunulacaktır. Bulgular, mezhepçiliğin geniş bir toplumsal tabandan mahrum olduğuna ancak önemli bir inşa gücüne ve zorlayıcılığa sahip olduğuna işaret edecektir. Abbas Aziz ile mülakat, Şubat 2016, Ankara. Anthony H. Cordesman and Emma R. Davies, Iraq's Insurgency and the Road to Civil Conflict, Westport: Praeger Security International, 2008. Bilgay Duman, “ABD Güçlerinin 2004-2005 Operasyonları ve Bıraktığı İzler”, Ortadoğu Analiz, 2009, c. 1, sy. 5, s. 39-45. Bilgay Duman, “Irak’ta Bir Kimlik Arayışı: Bektaşiler”, Ortadoğu Analiz, 2011, c. 3, sy. 35, s. 61-68. Bilgay Duman, “Türkiye’den Irak’a Uzanan Birlik Köprüsü: Telafer”, ORSAM, 3 Mart 2011. Bilgay Duman, “Taki el-Mevla ile Türkiye-Irak İlişkileri Sohbetleri”, ORSAM, 18 Haziran 2012. Bill Roggio, “Operation Restoring Rights in Tal Afar”, The Long War Journal, 5 Eylül 2005. Bruce R. Pirnie and Edward O’Connell, Counterinsurgency in Iraq (2003-2006), CA: RAND Corporation, 2008. David R. McCone, Wilbur J. Scott, and George R. Mastroianni, “The 3rd ACR in Tal’afar: Challenges and Adaptations”, Strategic Studies Institute, 2008. Fanar Haddad, Sectarianism in Iraq: Antagonistic Visions of Unity, London: Hurst & Company, 2011. Ferai Tınç, “Türkmen Gözüyle Telafer”, Hürriyet, 20 Nisan 2007. Ferry Biedermann, “Tel Afer’s Ethnic Tug of War Puts Iraq Army to the Test”, Financial Times, 18 Ocak 2006. Fotini Christia, Elizabeth Dekeyser and Dean Knox, “To Karbala: Survey in Religious Shi’a from Iran and Iraq”, Massachusetts Institute of Technology, 2016. F. Gregory Gause, “Beyond Sectarianism: The New Middle East Cold War”, Brookings Doha Center Analysis Paper, 2014, sy. 11. George Packer, “The Lesson of Tal Afar: Is It Too Late for the Administration to Correct Its Course in Iraq?”, The New Yorker, 10 Nisan 2006. Harith Hasan al-Qarawee, “Heightened Sectarianism in the Middle East: Causes, Dynamic and Consequences”, ISPI Analysis, 2013, sy. 205. Hassan Hassan, “The Battle for Mosul is a Struggle for Iraq Itself”, The National, 16 Ekim 2016. Helle Malmvig, “Coming in from the Cold: How We May Take Sectarian Identity Politics Seriously in the Middle East without Playing to the Tunes of Regional Power Elites”, POMEPS Briefings, 2016, sy. 28, s. 8-12. “Investing in Iraq’s Peace: How Good Governance Can Diminish Support for Violent Extremism”, Mercy Corps, 2015. “Iraq: Challenges of Forced Displacement within Iraq,” Internal Displacement Monitoring Centre, 2008. “Iraqi Worries and Hopes Regarding Sectarianism”, Greenland Quinlan Rosner Research, 2011. James Cogan, “Iraq: US Occupation Sets off Sectarian Atrocities in Tal Afar”, World Socialist Web Site, 30 Mart 2007. Jay B. Baker, “Tal Afar 2005: Laying the Counterinsurgency Groundwork”, Army, 2009, c. 6, sy. 59, s. 61-68. John R. Ballard, Fighting for Fallujah: A New Dawn for Iraq, London: Praeger Security International, 2006. Kemal Beyatlı ile mülakat, Mart 2016, İstanbul. Khalil F. Osman, Sectarianism in Iraq: The Making of State and Nation since 1920, London and NY: Routledge, 2015. Marc Lynch, “Why Saudi Arabia Escalated the Middle East’s Sectarian Conflict”, The Washington Post, 4 Ocak 2016. Mansoor Moaddel, Julie de Jong and Munqith Dagher, “Beyond Sectarianism in Iraq”, Context, 2011, c. 10, sy. 3, s. 66-67. Michael Lipka, “The Sunni-Shia Divide: Where They Live, What They Believe and How They View Each Other”, Pew Research Center, 18 Haziran 2014. Mehmet Tütüncü ile mülakat, Mart 2016, İstanbul. Michael Fitzsimmons, Governance, Identity, and Counterinsurgency: Evidence from Ramadi and Tal Afar, PA: US Army War College Press, 2013. Patrick Cockburn, The Occupation: War and Resistance in Iraq, NY: Verso, 2006. Peter Baker, “An Iraq Success Story's Sad New Chapter”, The Washington Post, 21 Mart 2006. Sami Ramadani, “The Sectarian Myth of Iraq”, The Guardian, 16 Haziran 2014. Sarah Sewall, John A. Nagl, David H. Petraeus and James F. Amos, The US Army/Marine Corps Counterinsurgency Field Manual, Chicago: University of Chicago Press, 2007. Serhat Erkmen, “Unutulmuşluğun Karanlığından Umudun Aydınlığına Uzanan Bir Türkmen Kenti: Telafer”, Ortadoğu Analiz, 2009, c. 1, sy. 5, s. 6-22. Suphi Saatçi ile mülakat, Mart 2016, İstanbul. 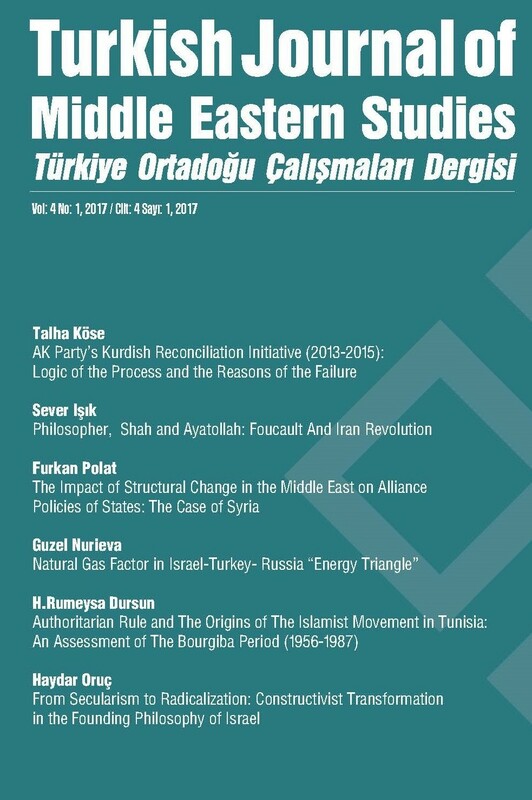 Toby Dodge, “Seeking to Explain the Rise of Sectarianism in the Middle East: The Case Study of Iraq”, POMEPS Briefings, 2016, sy. 28, s. 22-28. Travis Patriquin, “Using Occam’s Razor to Connect the Dots: The Baath Party and Insurgency in Tal Afar”, Military Review, 2007, c. 1, sy. 2, s. 18-37. Vali Nasr, The Shia Revival: How Conflicts within Islam Will Shape the Future, NY: Norton, 2006. “Another Success? Iraqi Mayor Bush Once Hailed Flees to U.S.”, McClatchy Newspapers, 30 Ekim 2008. “Fear Casts a Shadow on `Free City' Touted by Bush”, Los Angeles Times, 26 Mart 2006. “Fears of Sectarian Tension as PMUs Close in on Tal Afar”, Al Jazeera, 25 Kasım 2016. “Iraq: Sunnis versus Shia in Tal Afar”, Stratfor, 29 Mart 2007. “Iraq’s Turkmen Mobilise for a Post-ISIL future”, Al Jazeera, 13 Şubat 2017. “Iraqi Battle for Mosul Prompts Fears of More Sectarian Violence”, CNN, 21 Kasım 2016. “Iraqi Shi’ite Fighters Mass Near Flashpoint Town West of Mosul”, Reuters, 21 Kasım 2016. “ISIS Attempting to Stir Sectarian Hatred with Murals in Tal Afar, Iraq”, Al Masdar, 21 Ocak 2017. “Isis is Full of Killers, the Worst Come from Tal Afar: Bitter Fight for City Ahead and the Violence May not End There”, The Independent, 15 Kasım 2016. “Many Sunnis and Shias Worry About Religious Conflict”, Pew Research Center, 7 Kasım 2013. “Sheiks’ Deaths Lead to Questions on Progress”, Stars and Stripes, 12 Haziran 2008. “Tal Afar Sunnis Oppose Shiite Hashd Forces Entering Their Town”, Rudaw, 19 Kasım 2016. “Tal Afar,Wwest of Mosul, Becomes Center of Battle for Influence in Iraq”, The New York Times, 29 Ekim 2016. “Telafer’den Göç Eden Türkmenler Türkiye Sınırına Ulaştı”, Anadolu Ajansı, 5 Aralık 2016. “Telafer’e Dokunan Türkiye’ye Dokunur”, Hürriyet, 26 Şubat 2011. “UNAMI Submits its Reports on the Disputed Internal Boundaries”, United Nations Iraq, 22 Nisan 2009. “Under Pressure, Rebels Abandon an Iraqi Stronghold”, The New York Times, 12 Eylül 2005. “US Drawdown Raises Security Fears in Iraqi City”, USA Today, 17 Ağustos 2008.